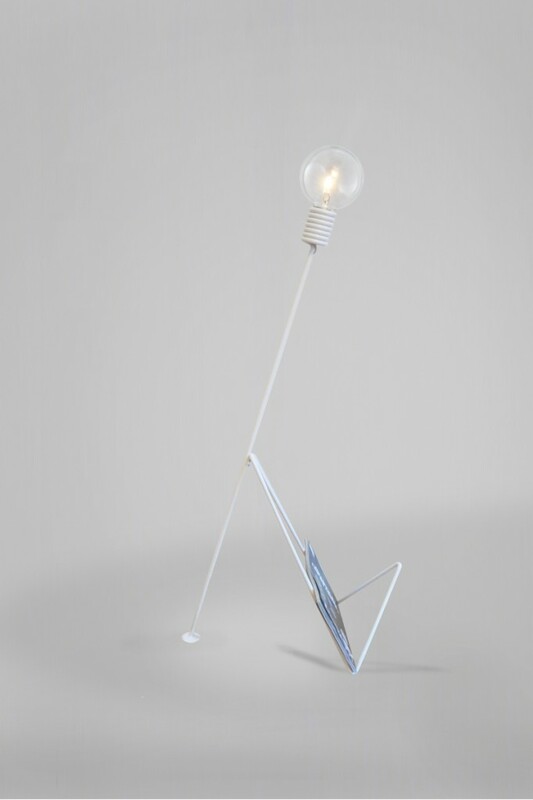 Little Helper are graceful table and floor lamps that leans forward and rests on their triangular stands. Their shape is 1950’s inspired yet with a modern feel with the combination of minimalistic design, rawness and new functionality. Designed with the goal of merging a sculptural book rack and lamp, the object is reduced to only its necessary elements. 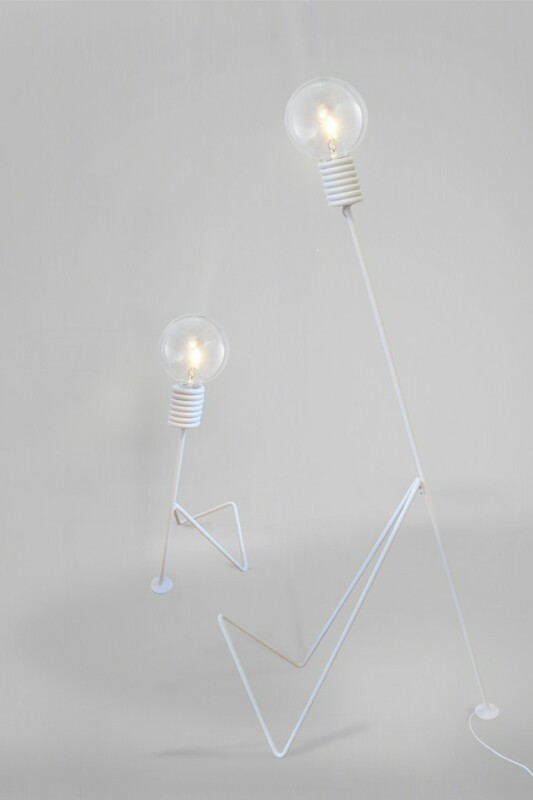 The lamps bases are hidden inside of a spring at the end of the pole which holds a large bulb lamp. The lamps rests on their triangular stands that also is a magazine or book rack.